This weekend, Jordan Peele’s Us comes to the theaters, one of the most anticipated movies of the year. Peele bursted onto the cinematic scene in 2017 with Get Out, one of the best debuts of the decade the earned a number of Oscar nominations, including a win for Best Original Screenplay. There is a lot of hype around Peele and this film and it is only his second film. The second film for a director can be a big one. It could be a film that elevates a directors film career, it could be one that puts the director on the map, or it could make us question just how good a director is. For this list, we are looking at the best of the very best sophomore efforts. There were a lot of films to choose from, but I chose these films based on effect it has on the directors career and the film’s quality. Here are my picks for the best sophomore films. A lot of people think that Whiplash was Chazelle’s first foray into cinema, when in fact it was a 2009 film called Guy and Madeline On a Park Bench. This is an example a directors second film putting them on the map. Based off Chazelle’s short film of the same name, Whiplash is a war movie in a music room, as a cocky, determined drummer (Miles Teller) battles his tyrannical music teacher (Oscar winner JK Simmons) in a battle of wits and strength. Incredibly edited and shot, with relevant themes about what it means to be the best and giving the middle finger to this participation-medal society we now live in, Whiplash is one of defining movies of the decade and immediately made Chazelle a director to watch. After becoming a very successful music video director, David Fincher made his cinematic debut with Alien 3, a bold choice for a debut film and one that many people do not like. A lot of studio inference stopped Fincher from making the film that he truly wanted to make, so thankfully he was given another chance with Se7en, which became his calling-card movie. Stylish, chilling, beautifully crafted, and one of the greatest endings in cinematic history, Fincher made a film we would never forget and set a standard for what we are to expect from a David Fincher film. What the Wachowski’s accomplished with The Matrix is an astounding feat. After making their lesbian noir Bound, it would have been assumed that their next film would have something along the same lines but with more money behind it. Nobody expected The Matrix. Nobody expected a game-changing sci-fi action flick that would make you question everything you knew about your existence. This established the Wachowski’s as real deal filmmakers. The fact that Warner Bros. gave them a budget to make a movie of this scale is unheard of today. With its bullet-time technology, iconic fashion, and a trio of pitch-perfect performances from Keanu Reeves, Carrie Ann Moss, and Laurence Fishburne, The Matrix is still influencing movies twenty years later. Mike Nichols was a cinematic treasure and started off his career as a director with arguably one of the greatest films you could possibly start your career with, Who’s Afraid of Virgina Woolf?. The film was nominated for ten Oscars, winning five of them and ushering Nichols in as an actors-director and one of the best around. How did Nichols follow that up? By making a timeless classic and one of the greatest films ever made. The Graduate is a masterpiece in every sense of the word. Led by Nichols’ career-best directing and a trio of stellar performances from Dustin Hoffman, Anne Bancroft, and Katherine Ross, this movie is acted just as well as it is directed. The themes about growing up, life after college, and love are all as relevant today as they were then. If anyone had any hesitation about Nichols as a director, this cleared all that up. The Graduate is a perfect movie. When thinking about this list and the movies that would be on it, my number one choice was the easiest one to make, a rarity for any list I make. 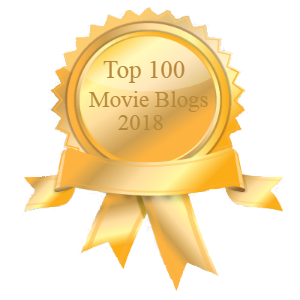 All the movies on this list are incredible movies and there are a number of other incredible movies that didn’t make this list. But Pulp Fiction is not one one of the greatest movies ever made and in my personal top five of all-time, it defined a generation. The Matrix might be one of the most parodied movies ever made, but Pulp Fiction launched a generation of filmmakers and imitators. The nonsensical dialog, the pop culture references, the era-less setting, the hyper violence, the non-linear storyline, all of it combined together from the mind of Quentin Tarantino made lightning in a bottle. This film revitalized John Travolta and Bruce Willis’ career and made Samuel L. Jackson and Uma Thurman household names. Nobody had ever seen a movie like Pulp Fiction and no matter how many people tried, nobody came close to replicating it. The post Top 5 – Sophomore Feature Films appeared first on Kevflix.